Leave a message or call. Sorry we are not available at the moment. Send us a message, and we ll get back to you soon. You can also call us at 866-876-3910 (M-F). 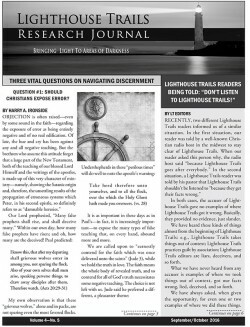 Why Lighthouse Trails is NOT an Non-Profit 501(c)3 organization? Research Journal There are 6 products in this category. 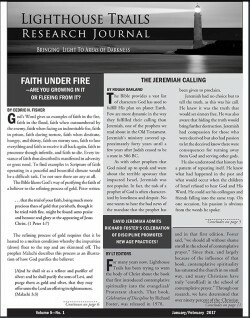 This package is all 6 issues of the Lighthouse Trails Research Journal for the year 2018. The price includes shipping (no extra mailing costs).